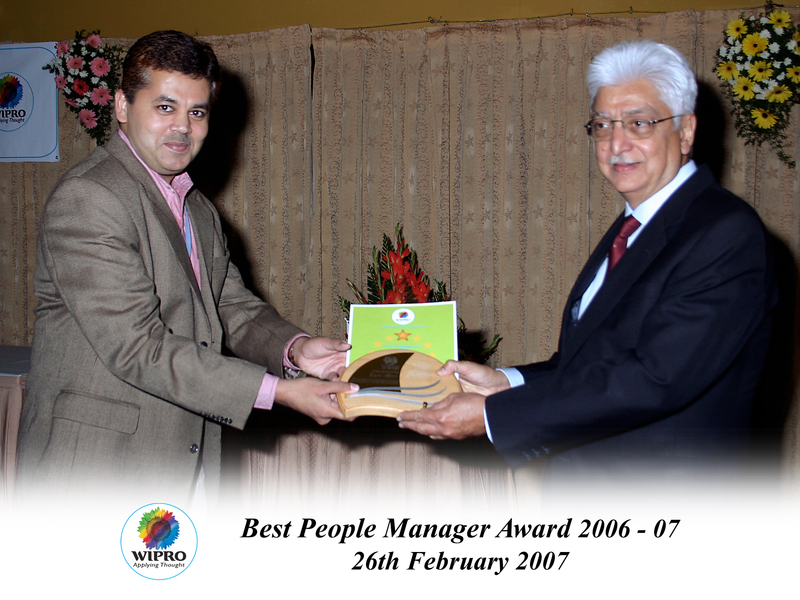 In 2004 when I got the “Best People Manager” award from Azim Premji, there was a request from the HR team to all the recipients of the award, to share their best practices in the upcoming Leadership Programs. When my turn came I put together few slides which were well received and I became a regular speaker in those sessions. My involvement with HR increased after I got the award for the second time in 2006 and in 2009 I moved into Human Resources department full time leading a team of leadership trainers. Since I came from a business background with no formal qualification on HR or Psychology I started enrolling myself in courses on Psychology, Organizational Development, Psychometric Assessments and Train the Trainer Certifications to equip myself to lead the team. During that period, some of the courses required me to go through a research on Emotional Intelligence. I could relate my Best People Manager practices, to the deep work done by renowned psychologists like Richard Boyatzis, Annie Mckee and many others including Daniel Goldman who is well known to many of us in this space and this workshop is a outcome of this research. I have run 100+ EI workshops in last 10 years. The workshop will cover how our past can impact our current and future performance by helping us to get an access to why we were unsuccessful in certain areas and what new actions we can try. Rejection and fear no longer drives our actions but new possibilities and hope helps us create a new future. Our mind creates perceptions (automatic stories) about people around us and we react based on that but Emotional Intelligence helps us to learn the art of making a distinction between perception and reality by understanding the neuroscience of how our brain works (biology) and our past experience (psychology). The last important piece that the workshop covers is the function of amygdala and prefrontal cortex which are two important parts of our brain. How managing these parts of the brain can help in becoming responsive rather than reactive to stressful situations. Experience a transformational experience the way participants of earlier batches have experienced. Hope you are able to resonate with the above points and I look forward to meeting you at the workshop. 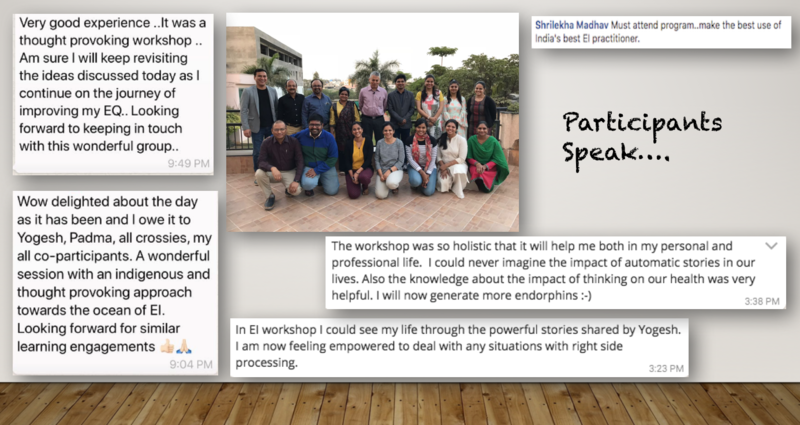 Also I am sharing the feedback of recent EI workshop.